There are a lot of people who suffer from onychomycosis. This disorder is more commonly called nail fungus, or finger or toenail fungus. A lot of the prescription drugs available have been shown to cause liver damage, and some of them can be very severe. There are a lot of different home remedies suggested by friends, relatives, and people online for this disorder. While not many clinical trials on home remedies have been completed, there is some evidence from personal experience of various people. 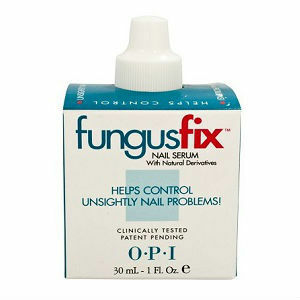 Overall, it depends greatly on the type of nail fungus and the individual person. In all honesty, there is minimal risk, if any, of making the infection worse by trying inexpensive home remedies. 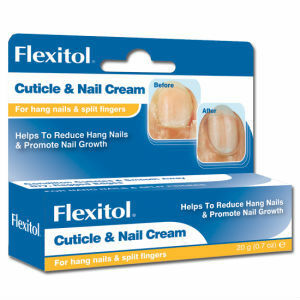 Note that if the nail bed and lunula of the nail are affected, over-the-counter remedies are not effective. The only treatment for an infection at this point is to receive an oral medication via prescription from a physician. Listerine is a common home remedy. It advertises complete the destruction of bacteria and germs. 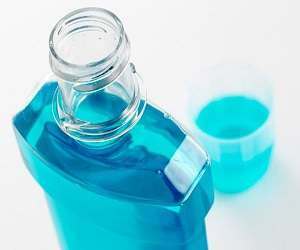 However, the main focus of the mouthwash is to treat gum disease. 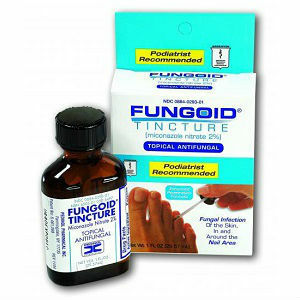 This is a very inexpensive and common treatment for nail fungus, both on the toenail and on the fingernail. The ingredients in the mouthwash are ethanol, thymol, eucalypton and benzoic acid. To treat onychomycosis with Listerine, soak the affected nails in 100% pure Listerine for 10 minutes per day until the infection clears up. Onychomycosis can be caused by several different factors. One of the common fungi that attack toenails is Candida. It is a common infection in the mouth, as well. However, in the mouth, it is characterized by white spots. While Candida is typically referred to as a yeast infection, it is a fungal yeast infection. This is why it is treated with antifungal medications in a mouthwash, such as using Listerine a few times per day. Another cause of onychomycosis is dermatophytes, which does not respond to Listerine. Basically, effectively treating the infection with Listerine depends on the type of fungus affecting the nail. While it may not cure all fungal infections, if you are looking for a natural remedy, it never hurts to try this method before resorting to prescription medications and the hazards that come with them. Vinegar is very acidic. In the case of dermatophyte onychomycosis it has proven to be very effective. 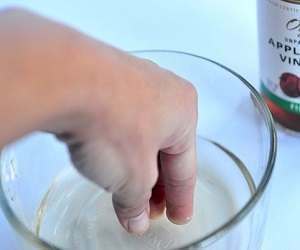 If you use vinegar to treat dermatophyte onychomycosis, use a mixture of one part vinegar to two parts water. Continue this treatment for 20 minutes every day. 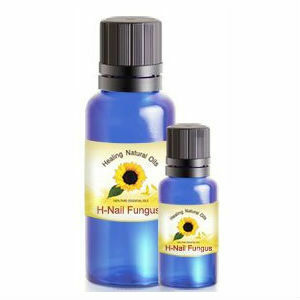 Because of the acidic environment created by vinegar, it makes the nail less habitable for the fungus, thus preventing it from growing any further. Over time, vinegar weakens the existing fungus spores. Since they no longer breed and become weak, they die off without leaving any spores to take their place. Important note: Vinegar is very acidic. 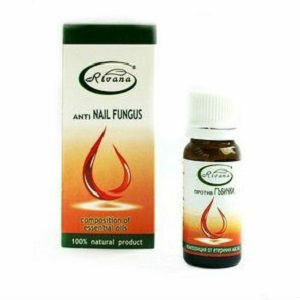 If the treatment causes irritation around the nail, and if the irritation causes discomfort, discontinue it. Expect some irritation in the area, as the fungus gradually dies off. Just like an infected sore being treated with an antibacterial cream, there may be some redness around the affected nail. There is no evidence that one type of vinegar works better than another. Equally good results have been reported while using apple cider vinegar, instead of white vinegar. The way VapoRub is made makes it a great treatment for onychomycosis. This is because it is able to penetrate the nail and is better able to get to the actual source under the nail. Even many doctors commonly recommend and report positive effects from using this treatment. Physicians like this treatment works because it is composed of petroleum jelly. This jelly is then infused with oils, like menthol, which is able to penetrate the nail and possibly suffocate the fungus. To use VapoRub as a treatment, rub it on the affected area. The amount you use is up to you. After you apply it, wear socks or a glove over the treated area for at least 20 minutes. Make sure that whatever you choose to cover the area is 100% cotton and breathable to prevent reinfection. While not many studies have been done on ingesting VapoRub, it is not recommended to eat it. This could be harmful, since it is petroleum based, but at the very least it tastes extremely gross. 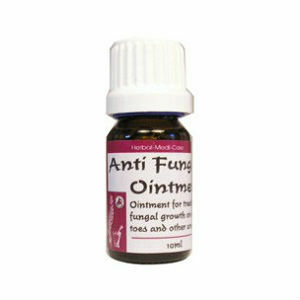 Tea Tree Oil has been proven to be an effective antifungal agent. You can use it in many different ways. Pour it into a dish and soak the nails in it to protect nails not currently affected from developing an infection. 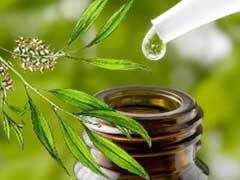 Tea Tree Oil has been proven effective for treatment of all types of onychomycosis. Tea Tree Oil has been tested in many different clinical trials, and it has shown a 20% cure rate. In order for Tea Tree Oil to work, it must be 100% undiluted Tea Tree Oil only. It is only for topical treatment. Never ingest it as it can cause severe toxic conditions. Green tea extract, also known as Camellia Sinensis, is a widespread herbal remedy. It is shown to treat many different problems from obesity to nail fungus. It is recommended that you soak your nails in it for about 20 minutes daily. 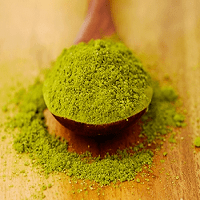 To date, there have been no clinical trials done on Green Tea Extract. However, there have been several reports from consumers using it as a treatment and they claim it worked for them.